The materials available through this website and other websites owned or provided by Secure Hunter (individually and collectively, the “Website”) are the property of Secure hunter or its licensors, and are protected by copyright, trademark and other intellectual property laws. You may view, copy and print pages from the Website only (1) for personal use, provided that you maintain all copyright, trademark, and other proprietary rights or notices, (2) as a personal shopping resource, (3) for communicating with Secure Hunter about a company product or service, or (4) for placing an order with Secure Hunter. You may not otherwise use, reproduce, download, store, post, broadcast, transmit, modify, sell or make available to the public content from the Website without the prior written approval of Secure Hunter. © 2014 Secure Hunter. All rights reserved. Secure Hunter, the logo, and other trademarks are trademarks of Secure Hunter and may not be used without permission. Secure Hunter respects the intellectual property rights of others and is committed to complying with U.S. copyright laws, including the Digital Millennium Copyright Act of 1998 (“DMCA”). The DMCA provides recourse for owners of copyrighted material who believe their rights under U.S. copyright law have been infringed on the Internet or other telecommunications networks. As a provider of transitory digital communications, Secure Hunter ‘s activities are protected by the safe harbor provision of the DMCA (see 17 U.S.C. 512 (a)). 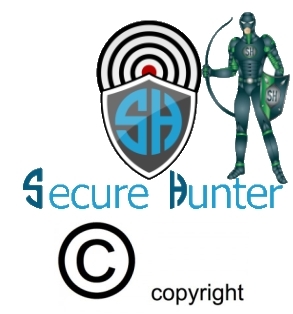 Secure Hunter is therefore not obligated to respond to a copyright owner (or the owner’s agent) nor does Secure Hunter have a duty to remove or disable access to material transmitted, routed or connected to the Secure Hunter network(s) that is initiated and/or directed by an individual user. Secure Hunter will terminate all account holders and subscribers who are repeat infringers of intellectual property laws.